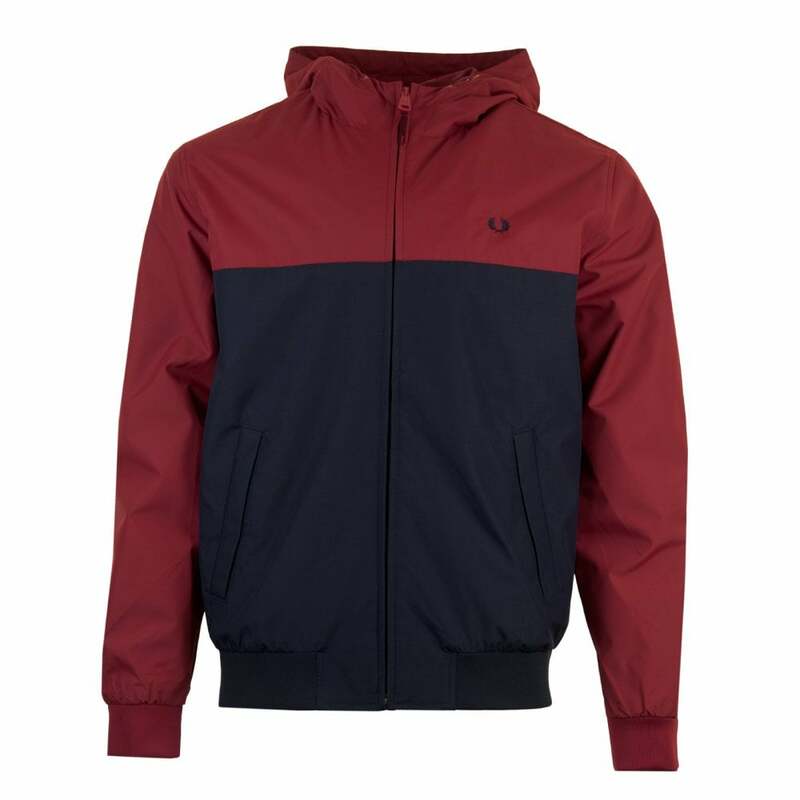 This Fred Perry Hooded Brentham Jacket has a 100% polyamide outer with a soft polyester lining and is red and navy in colour. It is hooded with an elasticated drawstring, has a full zip fastening and two open pockets at the sides. The cuffs and hem are ribbed and elasticated. Fred Perry Laurel Leaf branding appears embroidered on the chest area in white and on the zip tag.